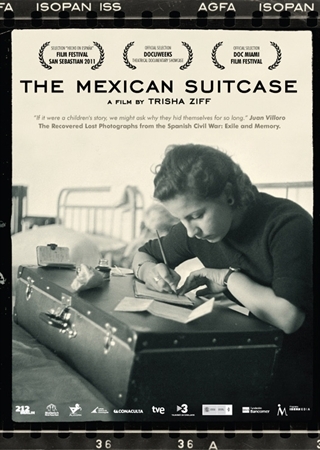 The Mexican Suitcase, Trisha Ziff’s brilliant documentary about the re-discovery in Mexico of 4,500 Spanish Civil War photographic negatives of Robert Capa, Gerda Taro and David Seymour, will be part of the line-up of “Cine México” in Tucson, Arizona, later this month (February 29-March 4). All screenings and events are free and open to the public and will take place Wednesday, February 29 through Sunday, March 4, 2012. Screenings will be held on the UA campus, at Harkins Tucson Spectrum Theatres, at the Fox Tucson Theatre, and at the Tucson Museum of Art. A complete guide to Tucson Cine Mexico 2012 can be found at TucsonCineMexico.org. All films are in Spanish with English subtitles.